Amanda has also studied towards a Master’s Degree in Music Education at Lebanon Valley College. Aside from private instruction, Amanda is also an educator in Harford County Public Schools. 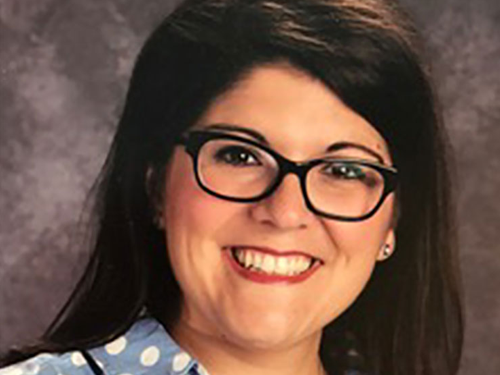 She served as the choral director at Edgewood Middle School for six years. Her choirs performed at state levels and received superior ratings. She is currently working in her second year at Patterson Mill Middle School as both choral and orchestral director. Her choirs and orchestras have also received superior ratings at the state level. The Patterson Mill Middle School Concert Choir also performed at the 2011 Bi-Annual All Eastern Music Conference in Baltimore. Amanda is an active member of the Harford County Piano Teachers Association. Her piano students annually compete in the county piano festival. Her vocal students participate in Maryland All-State choirs as well as the county and state Solo and Ensemble Festivals. She teaches ages six and up and all ability levels.